We've got a busy few months coming up, with lots of producers due to visit us, plus an exciting new series of monthly tastings from now until the summer months take hold. 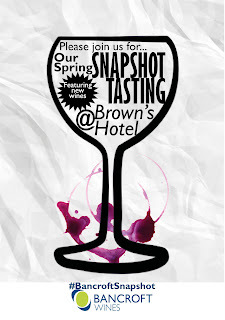 We would like to invite you to the first in a series of brand new 'snapshot' tastings, which we will be holding once a month, starting in April - same time, same place, same set-up, different theme. Simple! 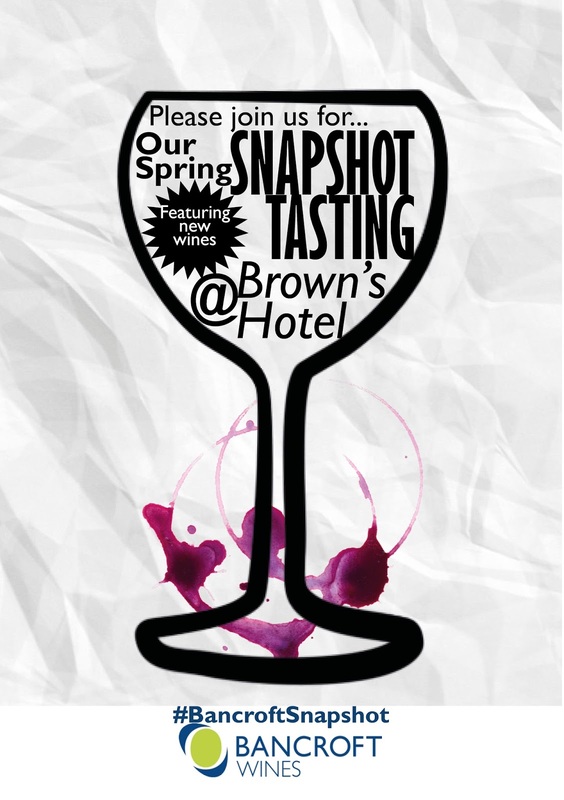 This series of tastings will have a different theme each month, and will include some guest appearances from our wonderful winemakers! Each month we will send out a new invitation, detailing the upcoming date and theme - all of the other details will stay the same. Our aim is to bring you a fresh, carefully curated snapshot of our portfolio, perfect for speed-tasting in your break or for mulling over in more detail. Tuesday 25th - Thursday 27th - Arnaud Bergasse from Viranel (St Chinian) will be in London for one day, and then will be touring the South West for two days! Tuesday 2nd - Friday 5th - Chateau Montelena (Napa). Bo Barrett (GM/Master WInemaker) and Brian Baker (VP Sales & Marketing) will be in London for a few jam-packed days of events celebrating all things California, Napa and, well, Chateau Montelena! Enquire here for event information. Tuesday 16th - Thursday 18th - Herència Altés (Terra Alta) Official UK Launch. We are delighted to announce the dates for this launch of our incredibly exciting new Spanish agency, from the beautiful Terra Alta in Catalunya. The core team from the winery will be in London for a series of events, including a focused trade tasting and press launch. Watch this space and your inboxes for more details! w/c 12th - The South Africans are in town! Kevin and Hanli Grant of Ataraxia (Hemel-en-Aarde) and Carl Schultz of Hartenberg Wine Estate (Stellenbosch) are gracing us with a tandem visit. Throughout this week, we will be hosting a number of lunches, dinners and tastings to showcase the diversity of the Western Cape and probably to eat lots of biltong too. This is by no means an exhaustive list of our upcoming events. Please keep an eye on our events calendar, your inbox (if you are not yet subscribed, email us to do so). Pop us an email to express your interest in getting involved with any of the above events, or to receive more details of our plans. Here at Bancroft, we simply love seeing a lot of our wonderful producers. 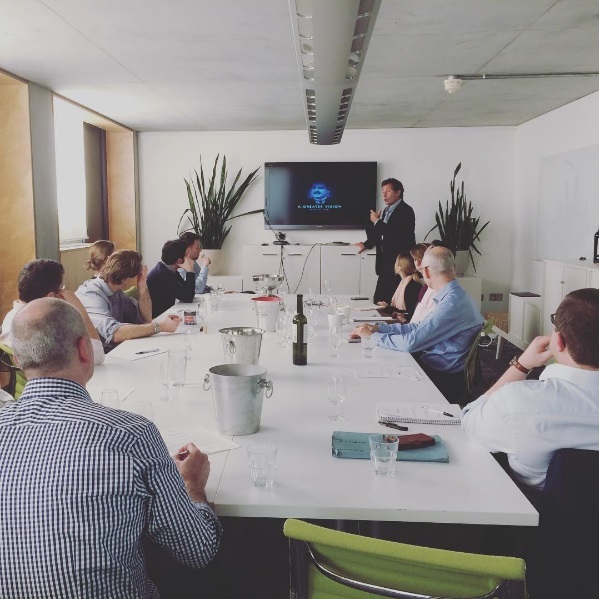 When they are in the UK, we like to make the very most of it with staff training and visits to as many clients as time allows. What this boils down to is tasting oodles of wine and then some committed lunching, wining and dining - it's a hard life for all involved! Alberto Arizu came to see us for one day only, so we had limited time to take him out and about. 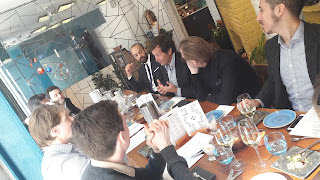 We had some staff training at Bancroft HQ before he headed out to a lunch at Lima Covent Garden with the Bancroft sales team and some of London's finest GMs/sommeliers. A flying visit maybe, but we put Alberto through his paces! 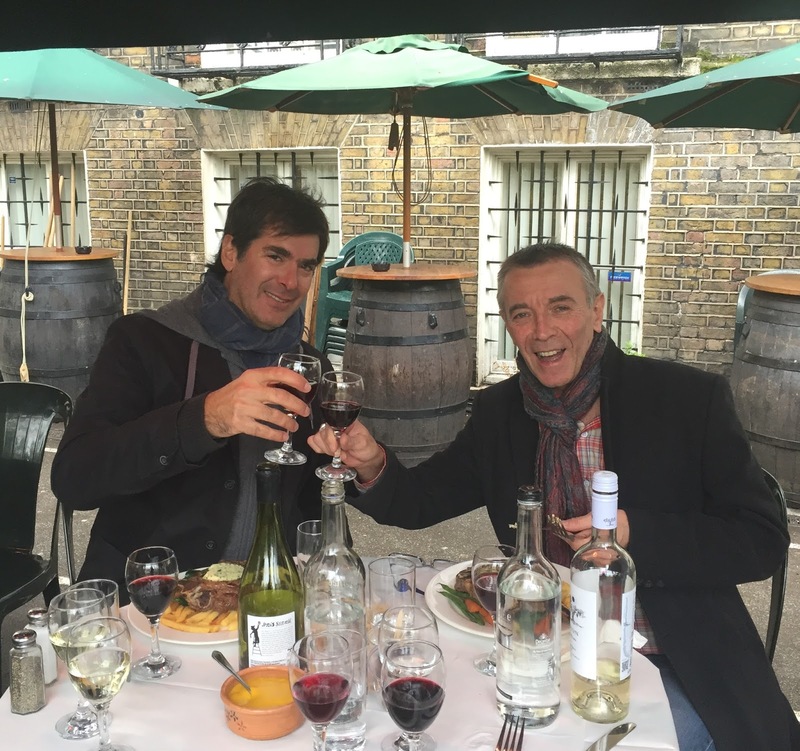 We welcomed Julio Bouchon for a couple of days of whizzing around London with our on-trade sales team. He popped by to give the team some training on the range, including a couple of new releases which were incredibly exciting, but alas, heartbreaking in their short supply. 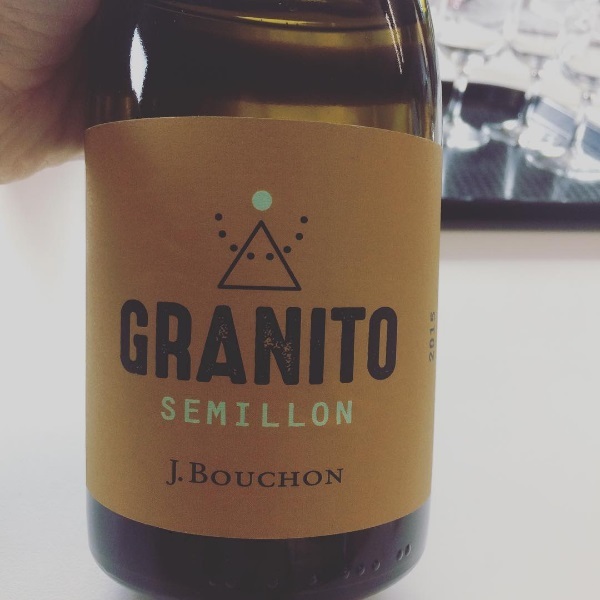 Firstly, the stunning Granito Semillon 2015 (pictured below), the absolute star of the show, grown on granite soils and the only white wine made from the coastal area in Maule, of which only one barrel is made. Not only did it make the whole Bancroft team 'oo' and 'aah' in rapture, but it also charmed Tim Atkin MW, leading to a score of 96 points and the accolade of 'white wine discovery of the year' in his Chile 2017 Special Report. Secondly, on the new releases front, is a very special Carignan, part of the 'Vigno' D.O.-style collaboration set up by viticulturists of 35-40 year old, dry farmed Carignan in Maule. Only 200 cases of the Bouchon Vigno Carignan 2015 was produced. The Granito Semillon got the whole team (and social media!) talking!